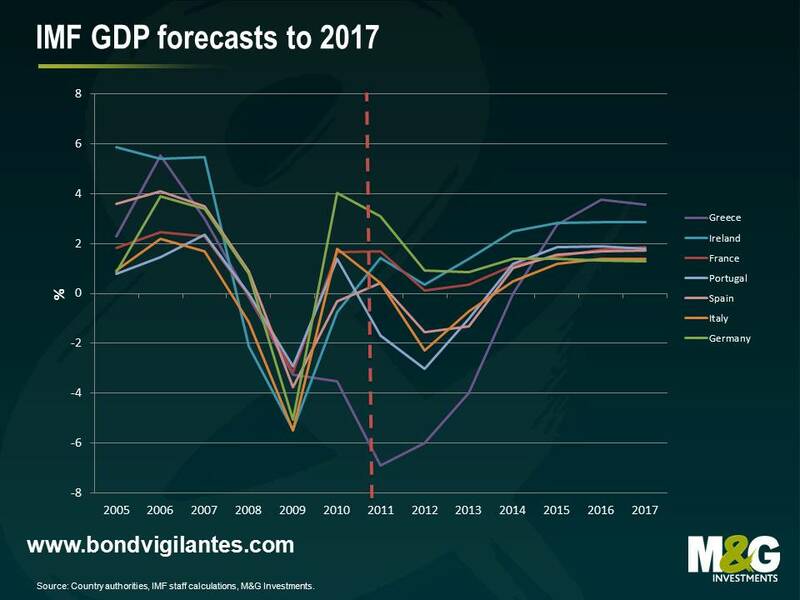 This graph shows the latest IMF forecasts for the GDP growth rates for a number of selected countries. For most countries the next few years won't be easy, but will see GDP growth rates get out of negative territory gradually. Greece is even expected to grow by more than three percent from 2016. Thank you for sharing the data and information, it's what I need to know.